Waiting on Wednesday is a weekly meme hosted by Jill at Breaking The Spine. It features each blogger's most anticipated books. I've got a few picks this week, so let's get this party started! "Olive Bell has spent her entire life in the beautiful suburb of Vista Valley, with a picture-perfect home, a loving family, and a seemingly perfect boyfriend. But after a near-fatal car accident, she’s haunted by a broken heart and a melody that she cannot place. Then Olive meets Nick. He’s dark, handsome, mysterious . . . and Olive feels connected to him in a way she can’t explain. Is there such a thing as fate? 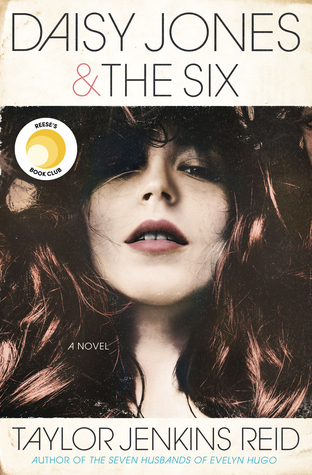 The two embark on a whirlwind romance—until Nick makes a troubling confession. Heartbroken, Olive pieces together what really happened the night of her accident and arrives at a startling revelation. Only by facing the truth can she uncover the mystery behind the song and the power of what it means to love someone." Why I Can't Wait: Hello, it's a YA contemp! You know I'm all over this like white on rice. I love stories involving heartache, mystery and the possibility of new love. Plus, did you see the cover? Wowsas! This is definitely going on my wish list! "Life for Megan Rosenberg just got a lot more complicated. Alliances will be made, and friends will be lost, as the Order’s dark secrets are revealed by the very thing they sought to destroy." Why I Can't Wait: I really adored CARRIER OF THE MARK and *ahem* Adam, so needless to say, this one is high on my wish list. I'm excited to learn more about the tales behind being a carrier and what adventures Leigh (the author) has in store for them. I also like how the cover designer decided to just tweak up the original cover. Do I wish they did more than just change the color of Megan's dress and color of the sky? Yes, but at least it still matches the original cover. But when she uncovers the dangerous secret that makes all of the girls at the Academy so gorgeous, just how far will Ana go to fit in?" Why I Can't Wait: Originally, the cover intrigued me. I mean, look at it. Looks to kill for? *Shudders* This one seems to be part fantasy and part contemporary. Ahh, my favorite combination! That's all, folks! What books are you guys looking forward to next year? Ooooh I love retold fairy tales!!! I'm a little addicted actually!!!! Here is our WOW for this week! BEAUTY and OUR SONG sound amazing! 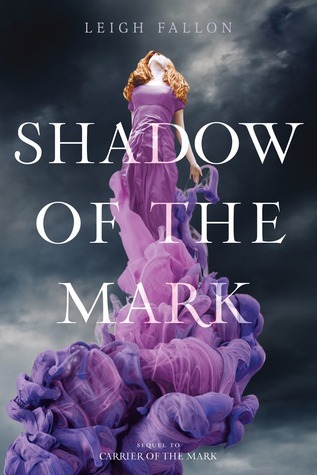 wow the cover of shadow of the mark is absolutely stunning! I'm loving the look of Beauty-looks kind of Snow White and since I just adore fairy tale retellings, I'll definitely want to know more!